A specialist in the history of modern philosophy and the philosophy of language, his books include Communication and Reference (1984), The Two Gods of Leviathan (Cambridge, 1992), A Hobbes Dictionary (Blackwell, 1995), and Thomas Hobbes (St. Martin's, 1997). His book, Hobbes: A Biography (Cambridge, 1999) won the Robert W. Hamilton Faculty Book Award for 2000. He has also translated Hobbes' Computatio sive logica: Part One of De Corpore (1981), is co-editor with David Sosa of the leading anthology on The Philosophy of Language (sixth edition, Oxford, 2013), and also co-editor with David Sosa of Analytic Philosophy: An Anthology (second edition, Wiley, 2012) and A Companion to Analytic Philosophy (Blackwell, 2001). He is Vice-President of the Board of Directors of The Journal of the History of Philosophy, and has twice held NEH Fellowships. He has lectuerd extensively in Chine and has published articles in which he applies analytic philosophy to Chinese philosophy. To learn what the major philosophers taught and what reasons or arguments they gave for their beliefs. To learn how to understand and evaluate arguments and reasons. To learn some of the ways philosophy should be done. To discover, in addition to the philosophical views of others, some actual philosophical truths. To learn something about the early modern culture of Western Europe. Liberal democracy is roughly the theory that individual persons are free and equal, and that each must respect and be respected by other people and the government. Freedom and equality are typically connected with the rights of individuals. So liberalism is an individualistic theory in contrast with 'state' theories, which give priority to the state over individual rights. Key concepts to be discussed include liberty, democracy, the social contract, and the nature of authority and obligation. The theory of Anglo-American liberalism developed from or competed with several traditions such as divine right theory, patriarchy, absolute sovereignty, democracy, and republicanism. These traditions were influenced by various religious, economic, and political beliefs over a long period. The most important period in this development was seventeenth-century (Stuart) England. This course is interdisciplinary. It covers politics, philosophy, and religion. The course will cover such political and religious events as King Charles I's Personal Rule, the Long Parliament, the English Civil War, the Commonwealth, the Restoration of the Monarchy, the Exclusion Crisis, and the Glorious Revolution. The most important philosophical texts are Thomas Hobbes's Leviathan and John Locke's Two Treatises of Government. Primary texts on divine right theory and republicanism will also be read. Description: Early Modern Philosophy will cover roughly the period from 1600- 1800. Most of our attentions will be on Descartes and his critics, Locke, Berkeley, Leibniz, Hume, and Kant. To locate modern philosophy within some important scientific, political, and religious aspects of Western Europe (1450-1789). A. P. Martinich, Philosophical Writing 4th ed. (Wiley-Blackwell, 2015). This course investigates four different attitudes that have been held about the relation of humans to God. First is an ancient view according to which God's existence is presupposed and all events are interpreted as expressions of God's will. Second is a medieval view according to which the existence of God and his various attributes are suitable subjects for proof and argument. Third is a modern view according to which God exists but little is known about him through reasoning. Fourth is a contemporary view according to which God is assumed not to exist, and it is asked whether anything has any value and whether human life has a meaning. Although the course is divided historically, our goal will be to identify what is true or false, rational or not rational about the views expressed in each. Explores the currents of contemporary thought by focusing on philosophical areas, movements, or trends. 2. To learn how to understand and evaluate arguments and reasons. 3. To learn some of the ways that philosophy should be done. 4. To discover some actual philosophical truths. 5. To learn something about the early modern culture of Western Europe. Liberal democracy is roughly the theory that individual human beings are free and equal. Freedom and equality are typically connected with the rights of individuals. Key concepts include liberty, democracy, the social contract, and the nature of authority and obligation to governments. This course is interdisciplinary. It will cover the history, religion, and political philosophy of Stuart England (seventeenth-century England), the century of the English Civil War, the Commonwealth, The Restoration, the Exclusion Crisis, the Glorious Revolution, and the English Bill of Rights. Thomas Hobbes's LEVIATHON and John Locke's TWO TREATISES OF GOVERNMENT will be discussed in detail along with other notable works by republican theorists, radical democrats, and divine right theorists. Communication consists of two aspects: what the speaker means by her utterance and what the audience understands by it. While most philosophers of language have concentrated on the speaker's side, there is increasing interest in the audience's side. This seminar focuses on understanding or interpretation, especially on the interpretation of texts. Since interpretation is the attempted identification of meaning, the nature of meaning will also be discussed. Our main goal will be to figure out what interpretation is and what properties a good interpretation has. This goal requires that we understand what people bring to texts and what means they have to understand them. Our views about meaning and interpretation will be tested against various texts, some simple and some complex, in various genres: literary, religious, historical, political, legal, and philosophical. Principles of interpretation will be evaluated according to how useful they are in understanding these texts. Readings include works by Donald Davidson, H. P. Grice, W. V. Quine, and John Searle. Liberal democracy is the theory that individual persons are free and equal and thus have certain rights that must be respected by governments. The theory behind liberalism developed from or competed with several traditions such as democracy, republicanism, and absolute sovereignty. The theory was influenced by various religious, economic and political beliefs over a long period of time. Perhaps the most crucial period in this development was seventeenth-century England. This course is interdisciplinary. It will cover such political and religious events as The Gunpowder Plot, Charles I’s Personal Rule, the Long Parliament, the English Civil War and the execution of King Charles I, the Commonwealth, the Restoration of the Monarchy, the Exclusion Crisis, and the Glorious Revolution. Some crucial works in political philosophy by some great political philosophers, such as Thomas Hobbes and John Locke will be discussed along with lesser but still significant theorists such as John Milton. The political relevance of some literary works, such as John Dryden’s Absalom and Achitophel, will also be discussed. Key concepts to be discussed include liberty, democracy, the social contract, and the nature of authority and obligation. Thomas Hobbes and John Locke are two of the greatest political philosophers of all time. This seminar will focus on their political philosophies, which include discussions of the original condition of human beings (the state of nature), the origin of government, the scope and limits of sovereignty (government), the justification of revolution, and the nature and place of religion within a society. The final week will be devoted to David Hume’s political philosophy. Thomas Hobbes, Leviathan, (edited by either Edwin Curley, J. C. A. Gaskin, A. P. Martinich, or Richard Tuck). This seminar satisfies the History requirement. Communication consists of two aspects: what the speaker means by her utterance and what the audience understands by it. While most philosophers of language have concentrated on the speaker's side, there is increasing interest in the audience's side. This seminar focuses on understanding or interpretation, especially on the interpretation of texts. Meaning will be discussed as necessary. Our main goal will be to figure out what interpretation is and what properties a good interpretation has. This goal requires that we understand what a person brings to a text and what means she has to understand it. Our views about meaning and interpretation will be tested against important and controversial texts in various genres: literary, religious, historical, political, legal, and philosophical. Principles of interpretation will be evaluated according to how useful they are in understanding these texts. Liberal democracy is the theory that individual persons have certain rights that must be respected by governments and cannot be violated merely to improve the condition of the state. Key concepts to be discussed include liberty, democracy, the social contract, and the nature of authority and obligation. The theory behind liberalism developed from or competed with several traditions such as democracy, republicanism and absolute sovereignty, which were influenced by various religious, economic and political beliefs over a long period of time. Perhaps the most crucial period in this development was seventeenth-century England. This course is interdisciplinary. It will cover such political and religious events as The Gunpowder Plot, Charles I’s Personal Rule, the Long Parliament, the English Civil War and the execution of King Charles I, the Commonwealth, the Restoration of the Monarchy, the Exclusion Crisis, and the Glorious Revolution. Some crucial works in political philosophy by some great political philosophers, such as Thomas Hobbes and John Locke will be discussed along with lesser but still significant theorists such as John Milton. The political relevance of some literary works, such as John Dryden’s Absalom and Achitophel will also be discussed. A large part of this course will consist of working on a research paper, either alone or in partnership with one or two other students, as dictated by the topic and student interest. Office hours: to be determined. at Einstein Bros. Bagels on the Drag, and by appointment. Description: The Bible has influenced political, literary, and philosophical works for two thousand years. In addition to reading and discussing large part of the Bible, parts of the Qur'an, John Milton’s Paradise Lost, and Thomas Hobbes’s Leviathan, will be among the major works read and discussed. The Bible both prescribes standards of ethical conduct and challenges some. Some of the most compelling stories in the Bible are about the nature of human beings and how they should behave. We begin by reading Genesis, Exodus, parts of the books of Samuel and Kings, Job, the Gospel according to Matthew and the one according to Mark. We want to understand what the authors of these books meant; and we want to look at some ways that they were used and understood by later ages. This includes some ancient works about related events that were not included in the Bible. Mohammed believed that Moses and Jesus were prophets, but some of the Qur’an’s stories conflict with those in the Bible. Thomas Hobbes tried to reconcile the Bible with modern scientific theory; and John Milton used the Bible to create the greatest epic poem in English. Students may explore related topics or authors, according to their interests. This course contains a substantial writing component. Genesis (New Oxford Study Bible); Exodus 1-24; Job (cc. 1-3; 38-42); Gospels According to Mark and Matthew, and of John (cc. 1, 8, 21-22); 1 Corintians 15; selections from the Apocrypha; Qur’an (suras 1-5, 7, 10-14, 19-20, 37, 101-114),Thomas Hobbes, Leviathan (cc. 31-39, and 44), John Milton, Paradise Lost (books 1, 3-5, 9, 12), and A. P. Martinich, Philosophical Writing 3rd edition. A. P. Martinich, Roy Allison Vaughan Centennial Professor in Philosophy, Professor of History and Government, is the author or editor of more than fifteen books. His book Hobbes: A Biography (Cambridge University Press) won the Roy Hamilton Best Book Award in 2000. His book The Philosophy of Language 5th edition (Oxford University Press) has been the standard text in the field for twenty-five years. He is currently editing The Oxford Handbook of Hobbes. He is vice-president of the Board of Directors of The Journal of the History of Philosophy.He received the Chet Oliver Teaching Award in 2008. Thomas Hobbes and John Locke are two of the greatest political philosophers of all time. This seminar will focus on their political philosophies, which include discussions of the original condition of human beings (the state of nature), the origin of government, the scope and limits of sovereignty (government), the justification of revolution, and the nature and place of religion within a society. The first class meeting will provide the context of seventeenth century philosophy as a preparation for a close reading of Hobbes and Locke. We will also discuss Introduction” of Leviathan, “Preface” of Two Treatises of Government, and chapter 1 of Book I of On the Social Contract during the first class. Thomas Hobbes, Leviathan, (edited by either Edwin Curley, J. C. A. Gaskin, C. B. Macpherson, A. P. Martinich, or Richard Tuck). A. P. Martinich, Philosophical Writing 3rd ed. (Blackwell). This course investigates four attitudes of beliefs that have been held about the relations of humans to God. The first is an ancient view, according to which God's existence is presupposed and all events are interpreted as expressions of God's will. Second is a medieval view, according to which the existence of God and his various attributes are suitable subjects for proof and arguments. Third is a modern view that God exists but that little is known about Him and that, in any case, humans must attend to their own affairs. Fourth is a contemporary view that God is assumed not to exist, and it is questioned whether any events have any value at all and whether human life has meaning. Liberal democracy is roughly the theory that individual persons are free and equal and must be respected by governments. Freedom and equality are typically connected with the rights of individuals. Key concepts to be discussed include liberty, democracy, the social contract, and the nature of authority and obligation. The theory behind liberalism developed from or competed with several traditions such as democracy, republicanism and absolute sovereignty. These traditions were influenced by various religious, economic and political beliefs over a long period of time. Perhaps the most crucial period in this development was seventeenth-century (Stuart) England. This course is interdisciplinary. It will cover such political and religious events as the Gunpowder Plot, Charles I’s Personal Rule, the Long Parliament, the English Civil War and the execution of King Charles I, the Commonwealth, the Restoration of the Monarchy, the Exclusion Crisis, and the Glorious Revolution. Some classic works in political philosophy such as Thomas Hobbes’s Leviathan and John Locke’s Two Treatises of Government will be discussed, along with those by lesser but still significant theorists such as John Milton. The political relevance of some literary works, such as Milton’s, “On the New Forcers of Conscience under the Long Parliament,” and John Dryden’s Absalom and Achitophel may also be discussed. Note: This is not a course in world religions. The metaphysical and epistemological views of Descartes, Hobbes, and Locke. Topics include the proper foundation for a philosophical system, the nature of knowledge, emotions, (free) will, personal identity (and religious toleration). Hobbes, The Elements of Law Natural and Politic (selections from the part on natural philosophy and epistemology. Description: While North Americans and Europeans believe that liberal democracy is the best form of government, this was not always true. (Many people throughout the world today do not think it is true.) Liberal democracy is the theory that the individual person has certain rights, not dependent on the existence of government. Key concepts of liberalism include liberty, democratic foundations, contractualism, and obligation. The theory behind liberalism developed from several traditions (republicanism, democracy, and limited sovereignty) influenced by various religious, economic and political beliefs and values, over a long period of time. Perhaps the most crucial period in this development was seventeenth-century England. This course is interdisciplinary. It begins with the religious and political history of the seventeenth century (which includes the Gunpowder Plot, the Long Parliament, the English Civil War, the Rump Parliament, the execution of King Charles I, the establishment of the Commonwealth, the restoration of the Monarchy, the Exclusion Crisis, the Rye House Plot, and the Glorious Revolution.) Then some crucial works in political philosophy by some of the greatest political philosophers in history, such as Thomas Hobbes and John Locke will be discussed. John Milton was also no political slouch, and two of his books, one in defense of the beheading of the king, will be read. The political relevance of some literary works will also be discussed. A large part of this course will consist of working on a research paper, either alone or in partnership with one or two other students, as the topic and student interest dictates. This course satisfies the History requirement. Thomas Hobbes and John Locke are the two greatest English political philosophers and two of the greatest philosophers of any age. This seminar will focus on their political philosophies, which include discussions of the original condition of human beings (the state of nature), the origin and justification of government, the scope and limits of (government), the justification of revolution, and the nature and place of religion within a society. The first class meeting will provide the context of seventeenth century philosophy as a preparation for a close reading of the texts. For that week we will discuss "Introduction" of Leviathan and “Preface” of Two Treatises of Government. Class participation: 30%; Midterm Essay: 20% (3-5 pages; 500-1500 words); Final Essay: 50% (10-15 pages; 2500-4000 words) This essay may be a revision and expansion of the midterm essay. Books: Thomas Hobbes, Leviathan, (edited by either Edwin Curley, J. C. A. Gaskin, C. B. Macpherson, A. P. Martinich, or Richard Tuck). We will study some representative cases of the ways the Bible has been used, and sometimes abused, through the centuries. We begin with Genesis, Exodus, parts of the books of Samuel and Kings, Job, the gospel of Mark, and parts of the gospel of John in order to understand what the original authors meant by their works. Because popular books, like The Da Vinci Code and Adam, Eve and the Serpent, have renewed interest in ancient writings that did not get included in the Bible, we will read a selection of these, including The Life of Adam and Eve, The Gospel of Thomas, and the Infancy Gospel of Thomas. These will be followed by selections from the Qur’an, which contains variations on the biblical stories. We will then read two seventeenth century authors, Thomas Hobbes and John Milton, who used biblical themes and problems in their philosophy, literature, and politics. We will end with a selection of other uses/abuses of the Bible, possibly feminist, Native American, or anti-slavery interpretations. 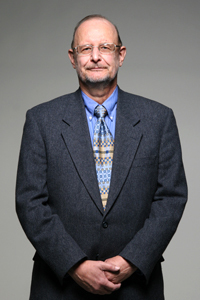 A. P. Martinich, Roy Allison Vaughan Centennial Professor of Philosophy and Professor of History and Government, is the author or editor of fifteen books and many articles, most of which concern language, religion, politics, or the philosophy of Thomas Hobbes. His book, Hobbes: a Biography was awarded the Robert Hamilton Faculty Book Award (2000). He was awarded the Plan II Honors Chet Oliver Teaching Award, in 2008 He was a Faculty Fellow for many years and was twice named Faculty Fellow of the Year. Past topics include pragmatism; postmodernism; contemporary Marxism; critical theory.